Though the Star Wars saga isn’t explicitly about romantic relationships, it has featured a surprisingly wide array of them. There’s the surprise of Han and Leia, the incestuous thrill of Luke and Leia, and even the star-crossed love of Anakin and Padmé, which proved that a queen from Naboo can fall in love with a slave from Tatooine even if he has the personality of a particularly angry rock. The thing about those pairings, though, is that they’re all heterosexual in nature, and, as a matter of fact, you’d have a hard time finding any gay and lesbian characters in the Star Wars movies. GLAAD is well aware of this, and it is now calling on Star Wars to further embrace diversity by introducing LGBT characters in the upcoming Episode VIII. This comes from Variety, which says GLAAD’s request comes as part of an annual “responsibility index” that looks at how LGBT characters are portrayed in major movies. Disney, which now owns Star Wars, was apparently one of only two studios (the other being Paramount) that didn’t have a single gay or lesbian character in any of its movies last year. But GLAAD says that “sci-fi projects have the special opportunity to create unique worlds whose advanced societies can serve as a commentary on our own,” so it sees Episode VIII as “the most obvious place” for Disney to introduce more diverse characters. Of course, GLAAD’s call for gay Star Wars characters probably refers to ones who are openly gay, and not characters whose furtive glances and playful banter make it seem like they have a thing for a certain former Stormtrooper even if the movie never specifically acknowledges it. 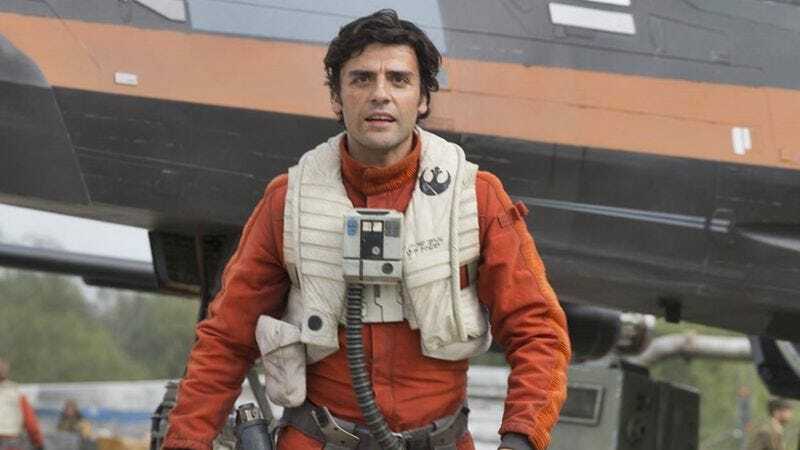 We’re referring, of course, to Oscar Isaac’s Poe Dameron, who made himself a special place in the romance-loving hearts of fan-fiction writers and Tumblr artists from pretty much the very first moment he encountered John Boyega’s Finn. A lot of people on the internet are convinced that Poe Dameron is gay anyway (including Isaac himself, apparently), so it could just be a matter of GLAAD—and anyone else concerned with onscreen representation of LGBT people—waiting until Episode VIII comes out and makes it official.